If you like this film matte effect, this article about Mastin Labs presets will be very useful for you. You’ll learn everything about these moody effects, compare them with famous Replichrome and VSCO Lightroom presets. You’ll find out whether it is possible to download Mastin presets free or download their free analogs. How to download FREE Mastin Labs presets? Mastin Labs Presets are professional bundles of Lightroom presets that get an authentic film look. These filters were rigorously tested against film scans. 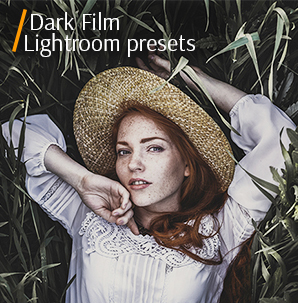 This is Kirk Mastin, a professional photographer and videographer, who designed this trendy kind of Lightroom presets for digital and film photos. Nowadays, Mastin Labs has 6 different collections. All of them ensure the richness, character, and timelessness of real film lives on in digital photography. Mastin Labs Kodak Everyday filters are universal, soft, full of bright and sunny colors presets with Kodak film effect. They correct the white balance and add a warm shades for dull photos. It is ideal for pictures taken in soft natural light. Download the Mastin Kodak Everyday preset if you need to add a delicate matte effect taken on the street during the Golden Hour. Mastin Labs Fujicolor Original is ideal for a wedding or family photo taken in natural light. The preset makes the picture less saturated, adding some airiness. Mastin Labs Fuji corrects the WB and the colors look colder. With slightly increased contrast and diffused light, the white color looks more natural. You may try this filter for the photos with a nature background. This collection of free Mastin Labs presets is suitable for fashion, wedding and street photos. The plug-in makes the image more contrasted, adding a specific vintage effect. White becomes colder with deeper shadows. In general, the picture acquires cold, sharp colors with high contrast. This package combines harsh, dynamic colors and is ideal for stylish outdoor pictures taken in both natural and artificial light. The picture gets a little sharp shade, deep contrast and an accentuated red color. Mastin Labs Fuji Pushed corrects white balance and adds soft shadows. As a result, you’ll get warm color correction in the vintage style. These Mastin Labs presets will be perfect for any portrait, taken both in artificial and natural lighting. It improves dark areas and the photo will be filled with shadows. Thanks to the correctly adjusted whites and contrast, the photo acquires bright, rich colors, and enhanced warm tones. Finally, you’ll get the image with slight matte effect. The main advantage of this Mastin Labs collection is that you are not limited by a specific film type. You can choose one of the available options, depending on the peculiarities of your photo style. Pan F – photos of high details, low grain, rich contrast. HP5 – greater dynamic range, softer contrast. Delta 3200 –very fast film, a lot of grain. Undoubtedly, many photographers try to find a way to get Mastin Labs free presets, checking various online resources, which offer only “fake” presets instead of the original ones. I have tested many free Lightroom presets and can surely say that the result you get with “fake” filters differs a lot, as people, who design these plug-ins don’t bother about their quality. Mastin Labs does not give free presets, however, I strongly recommend you visiting the official site, as developers often offer big discounts on presets, as it was at the New Year holidays. Check out how to get Lightroom for free to make fast color correction and get that beautiful film effect. Mastin Labs presets have a universal and gentle approach to color correction. I think, these presets are the most successfully-designed filters that emulate film and give images a vintage effect. Replichrome created something similar to Mastin Labs filters. You see the same soft, saturated, matte colors, with slightly edited shadows. All in all, the presets are much alike. However, unlike Replichrome, Mastin Labs offers more universal presets that can be used both in the studio and outdoors. Mastin Labs presets give you 3 film emulations in each package, with simple one-touch settings and grain parameters (35 mm or medium format film). You download the framing presets corresponding to the actual size of the film too. VSCO presets also give you a lot of different film and moody emulations in each package, so you have many variants to choose from. But, you will need to adjust presets to get the desired vintage result that is natural. Mastin Labs presets save all the details, depth and dimension in the photo, making whites brighter and blacks more saturated. My VSCO images always look flat and I need to correct them manually. Find more information about VSCO Lightroom presets and where to download them for free. While VSCO offers separate sets of Lightroom presets specifically calibrated for Nikon and Canon cameras, Replichrome presets are divided into groups for commercial film scanners, Noritsu and Frontier. You may use Tooklit VSCO presets to get creamy highlights or remove shadows. VSCO has one of the most precise results of beautiful film color and B&W. However, I think that you should always adjust VSCO presets to get a natural look. I usually reduce the oversaturation of the grain, adjust the green shade in the shadows and mix with contrast to make the image perfect. Replichrome is the best choice for a beginner, because you do not need to manually adjust each preset. Speaking about minuses, I’ll note that Replichrome tends to be slightly pink in each photo. That’s why I usually have to regulate the red channel on the bright areas to reduce the effect. I am sure that you shouldn’t use one and the same preset all the time. Each photo is unique and requires special image editing approach. If you want to start working with Lightroom presets or brushes, I recommend you to read the articles about how to create Lightroom presets, how to use Lightroom presets, and how to add presets to Lightroom for the first time. 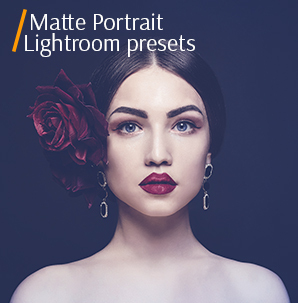 If you want to receive these beautiful moody effect for free, download the following 10 free Lightroom presets to make fast color correction on portrait, wedding, and street photos. Delicate-matte preset is an alternative to “Mastin Labs Presets PORTRA”. The preset makes the photo a little matte and corrects white balance. The dark areas become brighter and the skin tone acquires natural color. This Mastin Labs presets free alternative is ideal for portraits taken in poor lighting. It is a combination of “Mastin Labs Presets ILFORD” and “Mastin Labs Presets FUJICOLOR”. Due to the decreased contrast and sharpness, the photo gets sharp and saturated colors. White becomes more realistic, and skin tone acquires a slight matte look. This preset is suitable for portraits taken outdoors. 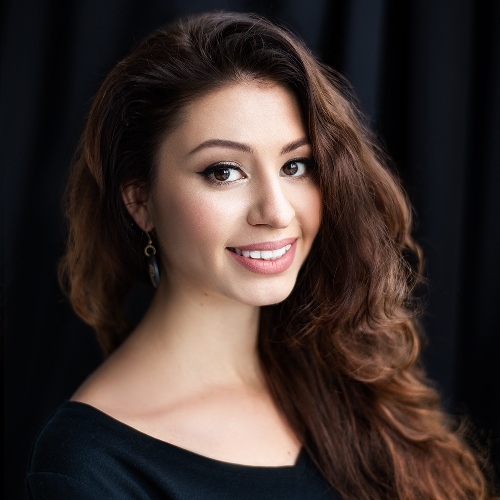 Send you portrait photos to FixThePhoto and get professional color correction, skin retouching, and background improvement for about $5 per photo. This preset is well-developed and suitable for images taken in cloudy weather with backlight. Such Mastin Labs presets’ analog removes deep shadows, increases exposure, corrects white balance, adds saturation and clarity. It corrects the skin tone, making it softer, more natural, with a pale matte shade. It resembles the combination of “Mastin Labs Presets PORTRA +PUSHED” and “Mastin Labs KODAK EVERYDAY”. Adding bright and rich colors to the picture, this filter corrects WB and increases contrast. Somehow it resembles “Mastin Labs Presets PORTRA + PUSHED” and “Mastin Labs Presets ILFORD”. Use this tool, you can correct skin tone, giving it a natural, slightly increased contrast color. It accentuates lines sharpness and fills the picture with improved shadows. No matter what photography genre you are engaged in. You may apply the filter to any photo taken either in natural or studio light. Making white more natural, correcting skin tone and giving the overall picture a soft look, the preset resembles the effect of “Mastin Labs Presets PORTRA” and “Mastin KODAK EVERYDAY”. The preset brightens dark areas, and enriches the photo with warm colors, which means it is ideal for pictures taken in poor or artificial lighting. It will be an excellent alternative to “Mastin Labs Presets PORTRA + PUSHED”. The colors become bright and saturated. The contrast is increased and the skin tone looks more realistic, light, without “parasitic” green hue. There are no deep shadows and dark areas. The image looks really sharp. This preset is ideal for street photos taken under difficult conditions or in poor light. If you are looking for a wedding or studio Lightroom preset with perfect white and bright colors, this free Mastin Labs presets’ analog is just what you need. With improved shadows, corrected white balance and a slightly raised contrast slider, the photo acquires soft, bright and rich colors, which resembles “Mastin Labs Presets PORTRA + PUSHED”. This is a pretty good alternative to “Mastin Labs Presets PORTRA + PUSHED”. The filter makes an image darker, accentuating black colors and performing a slight color shift. White becomes colder, and the shadows become really harsh. In general, the picture acquires cold, sharp colors with high contrast. 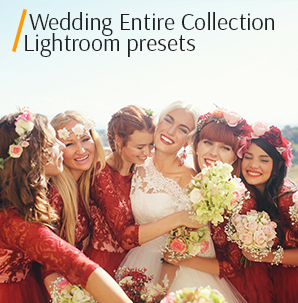 This plug-in is ideal for studio or wedding photos. The preset shows the film effect quite accurately and resembles “Mastin Labs Presets KODAK EVERYDAY” in combination with “Mastin Labs Presets PORTRA”. The photo becomes brighter with clearly visible matte shade. Thanks to the correctly adjusted whites and contrast, the picture looks natural without distorted color channels. This Mastin Labs’ free alternative is suitable for the photos taken in natural light. A great alternative to “Mastin Labs Presets PORTRA + PUSHED” preset. The filter increases the contrast and slightly shifts the colors, which makes them more saturated. Whites become colder and the shadows look harsh. Generally, the image looks interesting with bright, rich colors, increased contrast, and natural skin tone. How to Use Lightroom Presets?